Normal vaginal delivery is the childbirth process which takes place without any form of medical intervention. To alleviate the pain and speed up the delivery process medications might be used nowadays. All in all, a normal delivery is a completely natural delivery of a baby by the mother without any medical intervention. During normal delivery the primary focus is kept on the position in which the mother would be comfortable delivering the baby. 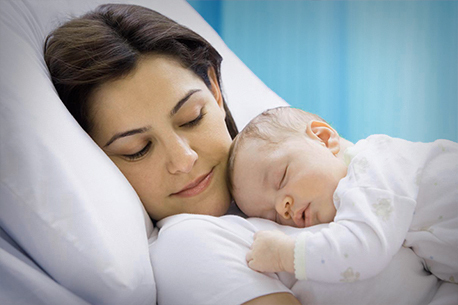 The mother is capable to lead the whole process of labor and delivery. The doctor and attending nurses, help her while being alert for any kind of emergencies. One of the most severe forms of pain is the pain that is experienced by a woman during the process of childbirth. It is believed to be 8 to 10, on a scale of 1 to 10, with 10 being the most severe. In the earlier days, a number of women used to die during childbirth and survival was considered as a second lease of life. This belief has now changed with the advancements in medical science. The delivery has become an almost painless procedure nowadays through the best normal delivery specialist in Gurgaon. In this process, a strong anesthetic is injected into the lower back to numb the pelvis and down below the pelvis as the lower limbs receive nerve supply through the nerves coming out of the spinal cord. This ensures that the mother is awake during the whole procedure and is able to see the child being delivered but has reduced pain in the lower half of the body. Considerable relief from the painful experience of childbirth as the pain is believed to induce secretion of stress hormones in the mother, which adversely affects both the mother and the child. Blood pressure can be better controlled using normal delivery procedure. Additional anesthesia is not needed during the process. The procedure can be converted to a cesarean section too, by adding an epidural catheter if required. Numbness reduces the normal pushing effect by the woman and so vacuum may be used or delivery may have to be converted to a cesarean one. There could also be a sudden drop in the blood pressure in some cases. Women who were taking blood thinners like aspirin, heparin, etc. It is the one that threatens the health or life of the mother or her fetus. It often requires focused care from specially trained providers. Some pregnancies turn out to be high risk as they progress, while some women are at risk for complications even before they get pregnant due to a variety of reasons. Standard prenatal care helps many women to have healthy pregnancies and deliveries without complications by the normal delivery specialist in Gurgaon. Obesity or being overweight increases the risk for hypertension, preeclampsia, gestational diabetes, stillbirth, neural tube defects, and cesarean delivery. It has been found that obesity can raise infants' risk of heart problems at birth by 15%. The risk of complications are higher in women carrying more than one fetus such as twins and higher-order multiples. The complications may include preeclampsia, premature labor, and preterm birth. Mostly the twins and as many as 93% of triplets are born at less than 37 weeks' gestation. Pregnancy in teens and women age 35 or older increases the risk for preeclampsia and gestational hypertension. 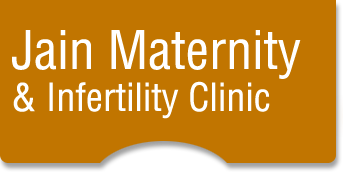 Women with high-risk pregnancies need to receive care from a special team of health care providers to ensure the best possible outcomes. Opp. Amity International School , Sector-51 Gurugram.